When this happens your cats become insecure and may hide, scratch or pee as a result: in your cat’s language, it’s a sign of cat stress. Other things that may affect your cat happiness are access to resources like food, water and litter boxes. The amount of attention you give them, competition in the household with other cats, and visitors to the household are additional considerations. 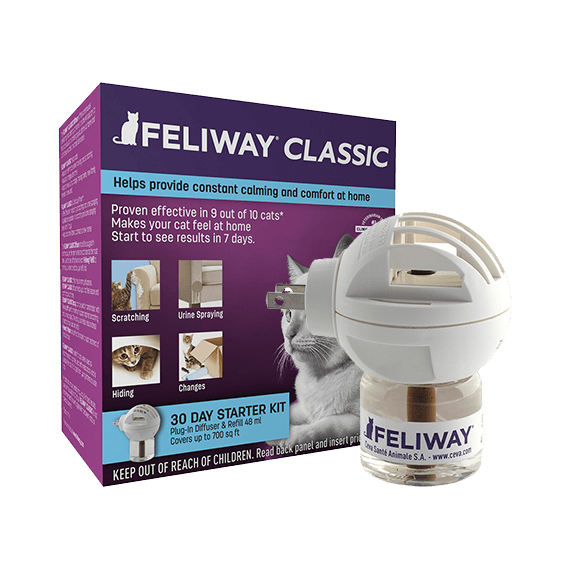 Note other calming aids do not address the underlying issue whereas FELIWAY CLASSIC provides calming support by sending “happy messages’” to your cat in its environment. If you have several cats and they do not get along, this is also a major source of cat stress. 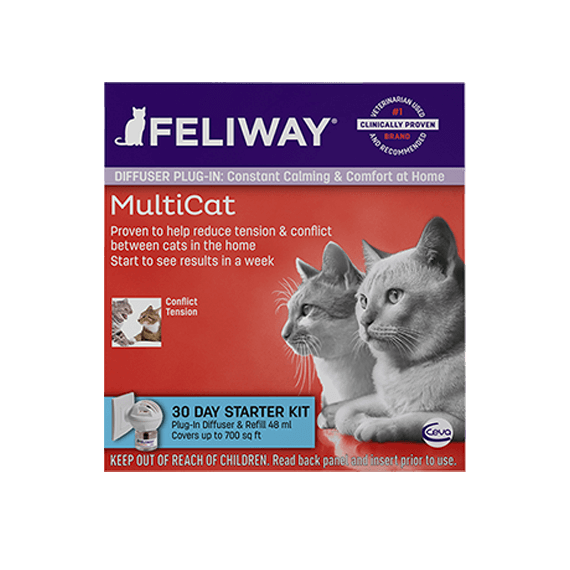 FELIWAY Multicat by sending the same “harmony messages” produced by the mother cat when nursing her kittens, can help alleviate tension and conflicts between them. FELIWAY MultiCat Diffuser helps your cats getting along better. It restores harmony between your cats.